Welcome to the churches of All Saints, Landbeach and St John the Evangelist, Waterbeach (usually known as St John’s). We hope you find what you need on this website and that we’ll see you soon at one of our services or events. You’ll find a very warm welcome at whichever church you attend. 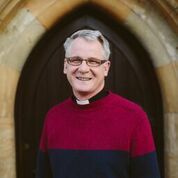 I’m Paul Butler, Associate Vicar and responsible for the day-to-day running of the two parishes. Find my full details in the Contact section and feel free to get in touch. I work full-time in the parishes. My day off is Wednesday. As well as this website, you can find out more about what’s going on on our Facebook page. Both parishes have very active congregations and our pattern of services, which vary in style, can take a while to get used to. We’re working on developing the website to help you make sense of things and to stay up-to-date with what’s going on. Want to stay up to date and spread the word? Here\'s how!